How can I manage my contacts tab? HOME > CONTACTS AREA > How can I manage my contacts tab? 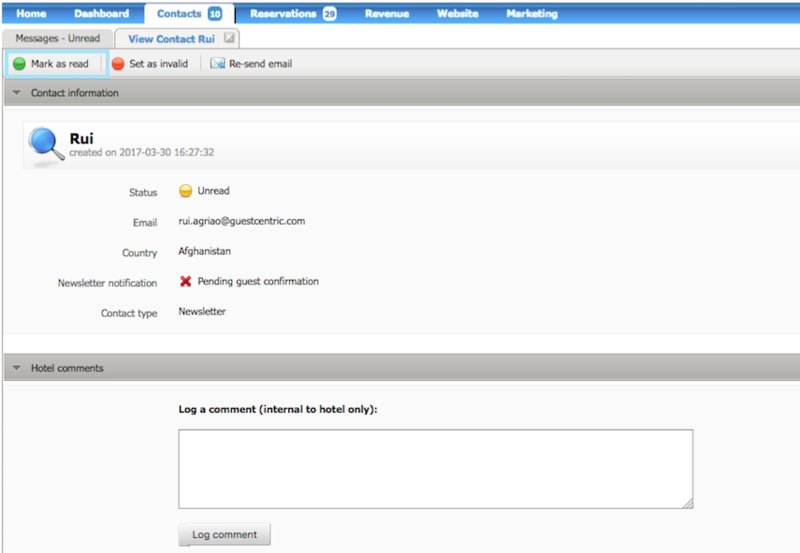 On Contacts tab is where you will receive all contacts made through your website via forms ( Contacts/ Phone/ Newsletter). You can also use it for possible phone calls you might receive of which you want to save the contact. Right on the tab, you can see the total number of contacts you currently have with UNREAD status. All new contacts received will be displayed in yellow with Unread Status. These contacts can have several types, according to the selection done on the contact form. Related Question : How can I edit a contact form? After you read them (click twice to open the contact sheet) they will appear with Read status and in green. You may add notes and comments on the editable box. These comments and notes are internal to the hotel. If you wish to add a comment, don't forget to save your changes by clicking on LOG COMMENT. You can also export all these contacts to an excel sheet so you can handle them according to your purposes. For this, you just need to click on the relevant option on the top right area of the Contacts Area . Reservation inquiries is the only option on the contact form that will not go to the Contacts tab, but to the Reservations one. 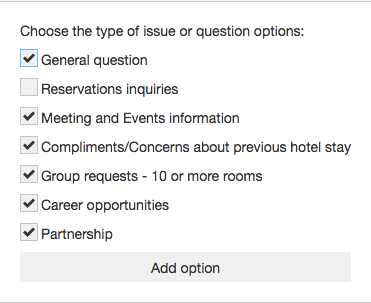 Related Question: How can I manager my reservation inquiries?